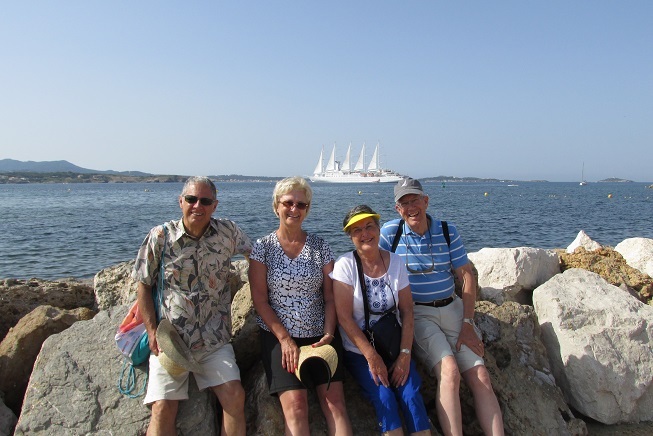 The travel group from Mike and Sandy's Church in Danville is on the go again, this time in the western Mediterranean on the Wind Surf, a "sailing yacht" carrying 312 guests. 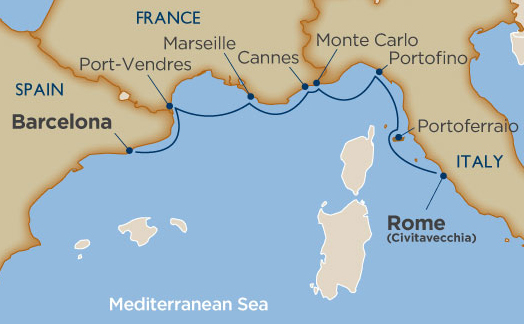 Here's our route, and the ship. It's ads say it "occasionally" puts up its sails, but on this trip, it did every day, at least for a while . 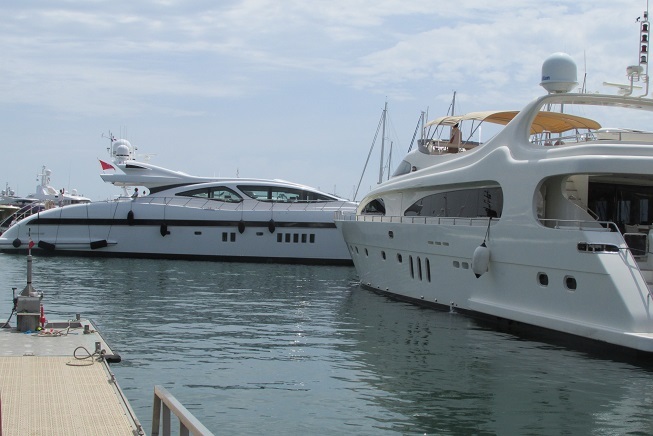 Portofino was the next port on up the italian coast. 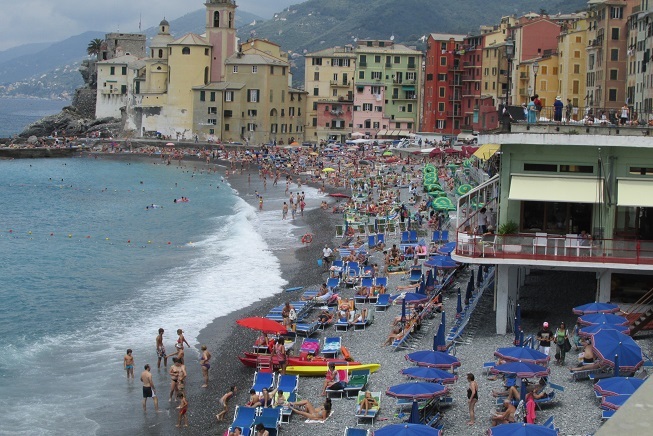 (Yes, this is the real Portofino, what the one at Universal Studios-Orlando tries to copy.) 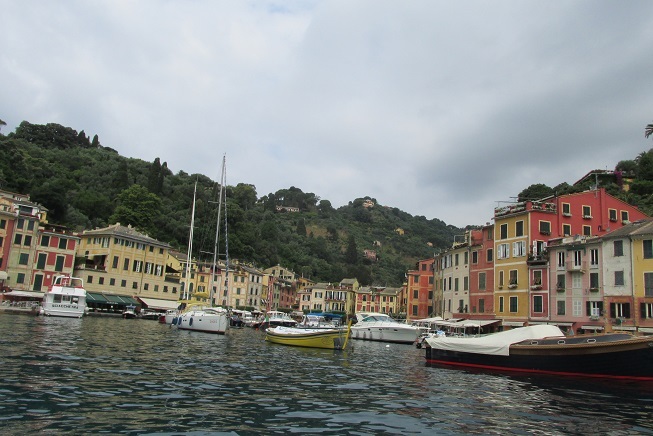 Portofino is a cute town nesled in a small bay. 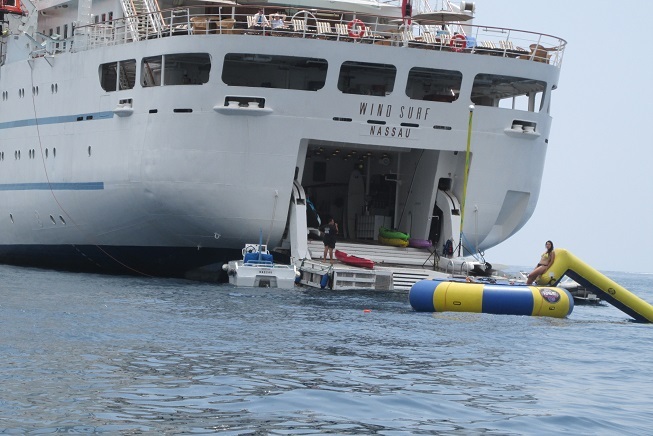 It has a statue of Jesus underwater in the harbor, but you have to go Scuba diving to actually see it. 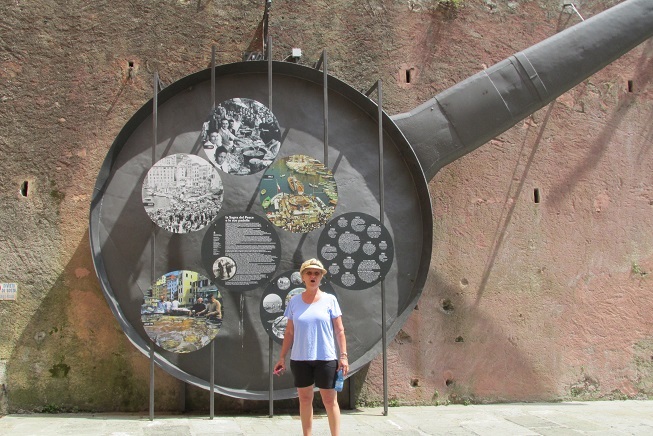 Mike and Sandy took a boat trip over to the nearby resort town of Camogli, where they saw the beach (no sand - just pebbles) and the giant frying pan used once a year at the fisherman's festival to cook fresh fish which are given to the poor. 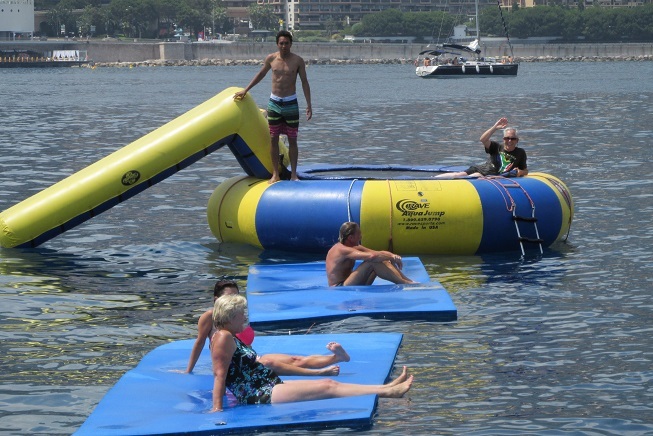 Now reaching the real France, the WindSurf called at Cannes - and fortunately, the big film festival was several weeks earlier, so we didn't have to face the issue of not being invited to walk the red carpet. 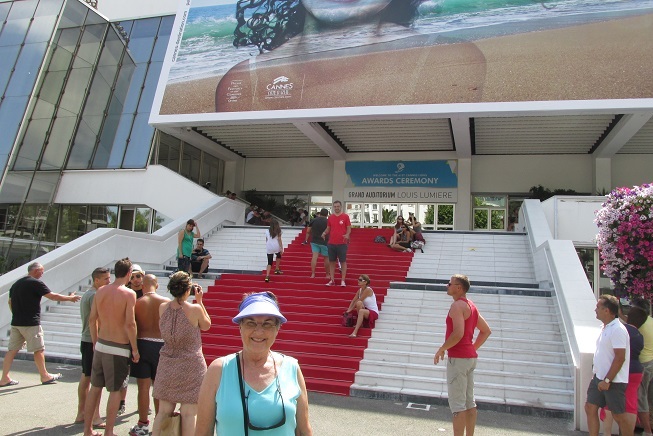 (We did get a picture of Sandy with all the other tourists looking at the red carpet, and of a few of the big yachts in the harbor. 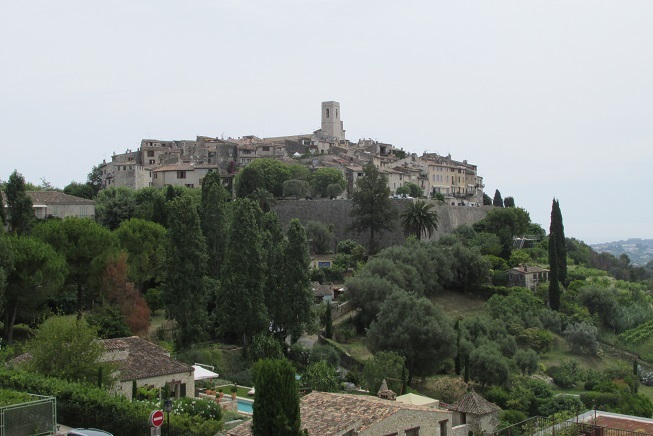 Most of our day was spent on a trip out in the countryside of Provence, with the highlight being a visit to the own of St. Paul De Vence - sort of Carmel meets the foothills of the Alps. 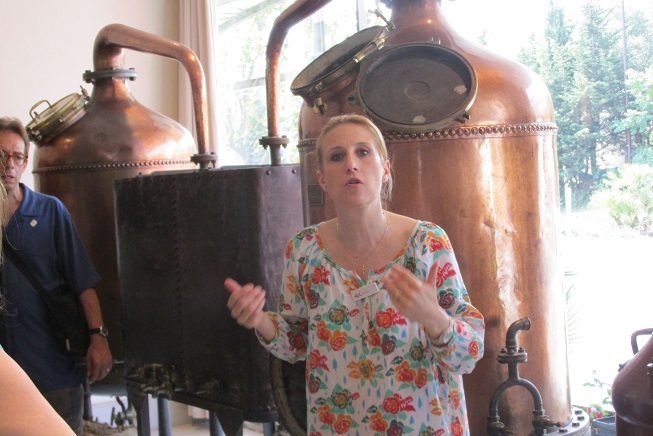 On the way back to town, we toured one of the omany perfume factories in the town of Grasse, said to be the center of the French perfume industry (who knew). 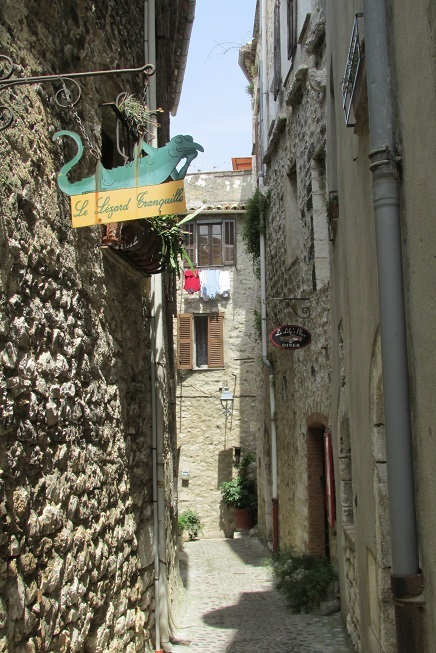 France is famous for various things, one of them being labor strikes, so our visit to Marseille, France's largest port, was changed to a visit to nearby Sanary-sur-mer. This turned out for the better, as it's a beautiful small port. 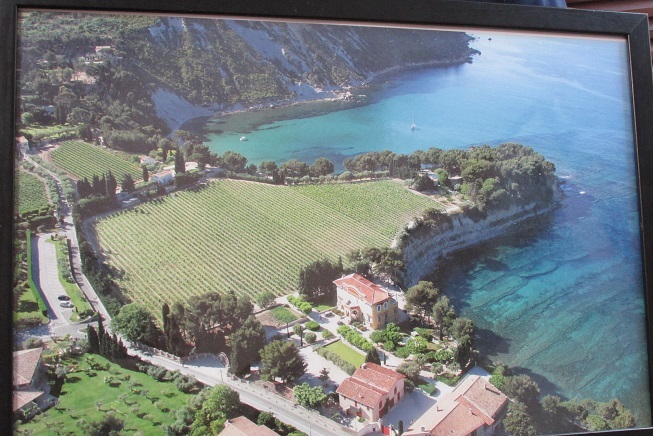 Here's our ship at anchor in the harbor, an aerial view of the winery overlooking the ocean - we visited here to learn about the kinds of wine produced in the south of France and to admire the ocean views, not just for the wine tasting! 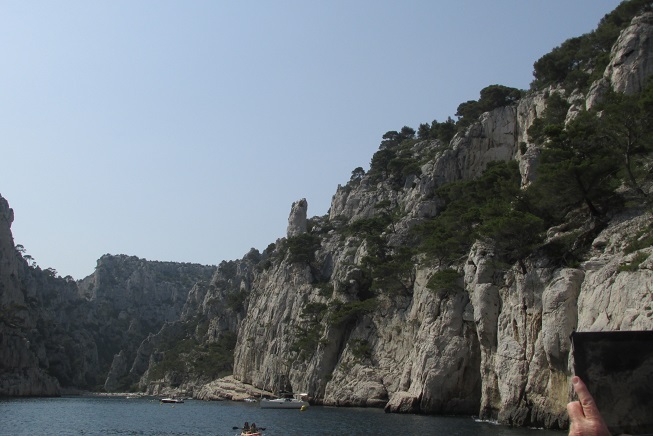 We also took a little excursion boat out to see some of the limestone cliff "calanques," which seem to be southern France's answer to Norway's fjords. 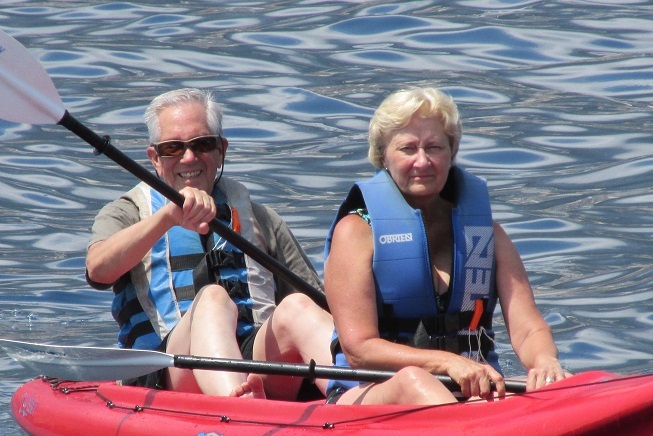 This was originally to be a day at sea, but the WindSurf called at Port-Vendres, France, on our last day before Barcelona. 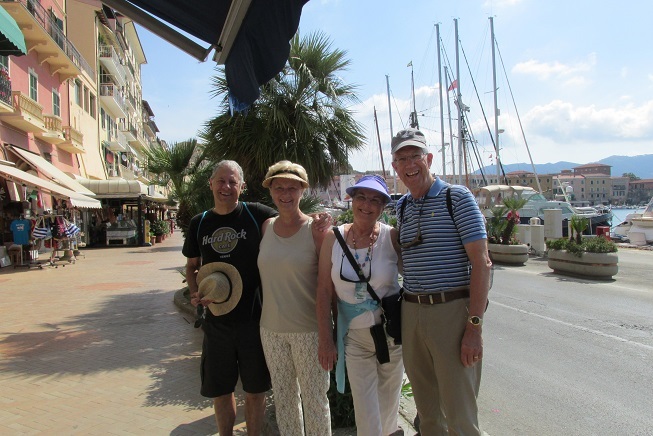 This is a industrial port, but a little tram at the dock took Mike and Sandy over to the nearby town of Collioure, where a big market was taking place in the town square. Sandy of course found a few "must haves" to help the local economy. 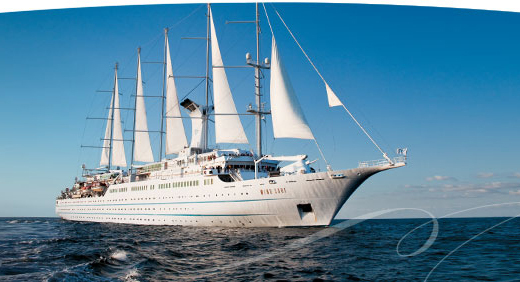 Barcelona is the last port on this trip on the Wind Surf and some of the group were staying several days for sight-seeing. 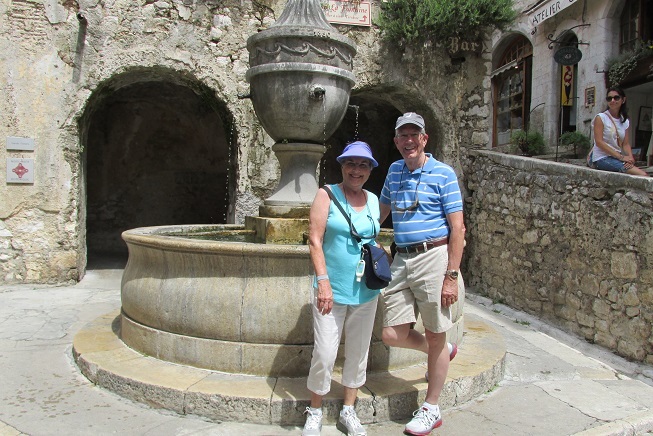 Mike and Sandy, along with friends Roland and Janet, skipped the local sights and headed for the airport to fly back to Florence, Italy, for a road trip including Tuscany, the Cinque Terre, and the area around Lake Como. You can see more about the Italian adventure here. 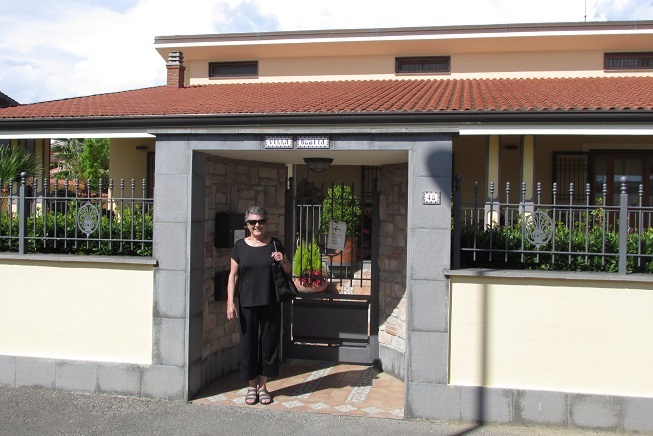 Pictures and notes from the Italian road trip.